For centuries, scholars have struggled to solve the mysteries of free masonry and that elusive, perhaps conspiratorial group known loosely as … the masons. At MIX Santa Fe, we just knocked on the door of Santa Fe’s big “pink church” and asked what’s up. We know the secrets and now you can too when you join us at the Scottish Rite Temple for freeMIXonry! 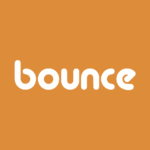 Find the best local events and happenings with Bounce, there to help you download into Santa Fe’s action and provide $1000+ in giveaways, including nights at Luxx, plates at Il Piatto, La Boca, Beestro, IZME, goods from Melo Velo and more. Look for the moving pictures courtesy of All Things Projected to guide you toward the grand entry stairs and deep into the mysterious heart of the joint, where the 20′ Lumenscapes dome will throb with additional unearthly glow. There will be 6, count ’em, 6 projectors blazing. A crazed cabal of nearby food wizards will offer up free offerings to the masses, including The Beestro (which now serves sweet and savory crepes), bizMIX winner Cheesemongers of Santa Fe (celebrating a grand opening), and local fave La Boca. This is going to be some hearty November nosh, free for the sampling when you freeMIX. The full and fantastical bar will be stocked by official agents of Kelly Liquor Barn and, as always, you’ll get one free brain-bending beverage in exchange for the quick survey—the survey takes a couple of seconds at the door or you can do it ahead of time or on your phone at mixsantafe.com/survey. DJ Mayrant will sort out the secretive sonic sorcery, while you delve deep into discovering new dangers and diversions hidden inside Santa Fe’s most coral-colored conundrum. Four limited docent tours will be doled out to daredevils willing to delve deeper. Learn the eternal secrets, find the locomotive heart of the whole building, crash the costume collection and boggle at the belfry—tours will be at 6, 6:30, 7 and 7:30. 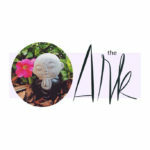 Mysterious masked minions will alert you to AHA’s latest antics, while psychics Elissa Heyman and Mari Red Moon will open their minds to all your possibilities. #HowToSantaFe will show you how to hashtag your way through heavy weather, Hanukkah, horniness and hairball schemes. Ponder the Pollinator Project from Radicle and Only Green Design. And getcher awesome photo booth pitcher takin’ while you suss up and sensible answer to the crowd-contest question: What would your secret society be like. All that and more at freeMIXonry, but remember—if you don’t come in person, you’ll never no what happened. Shhhhhhh. This month’s design courtesy of Julian Williams.